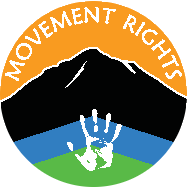 Pennie is the co-founder of Movement Rights and Idle No More Bay Area. There are powerful forces at work in our world. When we are open to them they can guide us into unexpected areas that can be surprising. The journey toward the creation and signing of the historic “Indigenous Women of the Americas – Defending Mother Earth Treaty Compact 2015” has been surprising, powerful and deeply rewarding. Those of us involved in putting the Treaty together quickly understood that it has a life of its own and that our job is to pay attention and move as we are directed to by unseen forces that are working for the greater good. The image that I have in my mind of this process is Mother Earth herself holding the Treaty and moving very quickly. She has on a beautifully fringed shawl. Those of us who have been involved in the Treaty from the very beginning are holding onto the fringe as tightly as possible as she moves toward protecting and defending her sacred system of life. 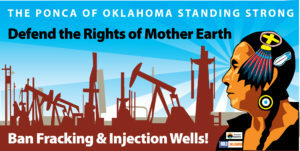 To read the Treaty and hear its call to action, click here. 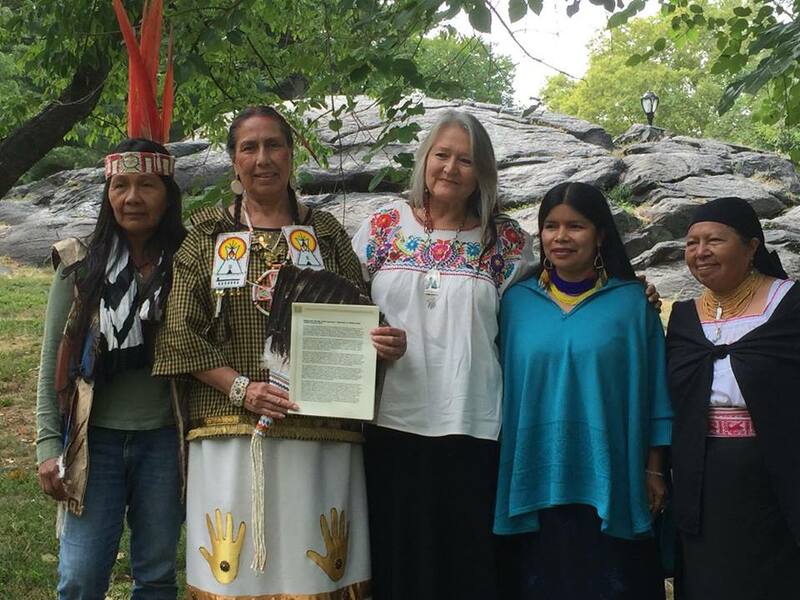 The first signing of the Treaty by Indigenous women who are protectors and defenders took place on Sunday, September 27th on occupied Lenape Territory in what is now known as New York City. It was the day of the fourth Blood Moon, the Harvest Full Moon, and the total lunar eclipse. It was a day of power which had its own design on exactly when and where the signings would occur. “We acknowledge this moment on Mother Earth for the 4th Red Moon of this year is eclipsing and offering us this chance to renew and defend the rights of Mother Earth as Indigenous Women. 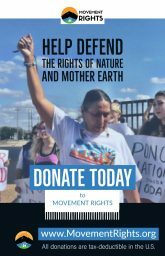 We gathered on this sacred day in ceremony to honor the ancestors who brought us to this point where we could stand strong in unified love of our Mother the Earth, our Father the Sky and the undying duty to protect the air, water, earth and all of our relatives for the future generations. This Treaty is historic on many levels. 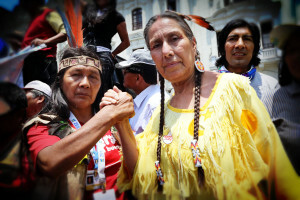 It is the first international treaty between Indigenous women of the Americas. 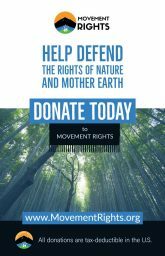 It is a call to action which outlines the crimes being committed against Mother Earth, as well as the threats to those alive now and future generations to continue to exist in a way that is sustainable, healthy and survivable. 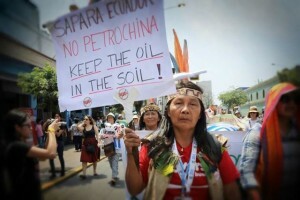 It makes the connection between the crimes against Mother Earth and the crimes against women and how women are inseparable from Mother Earth. 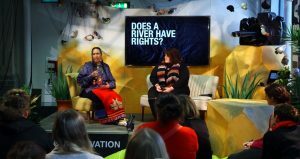 It also speaks to the sacred waters and that, as women, we are closely related to the waters and must protect them for many reasons, including for our babies to swim in uncontaminated waters in our wombs. 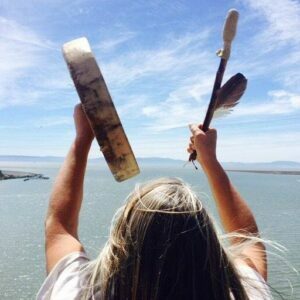 It is the first treaty that calls upon those who sign as Indigenous women and others who sign on to support it to conduct monthly ceremonies on the new moon to ask for guidance and wisdom in protecting and defending Mother Earth. 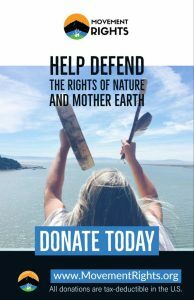 And, it requires those signing it and signing on as supporters to nonviolently stop the harms to the sacred system of life wherever they are on Mother Earth’s belly each solstice and equinox, and to do so with the love in our hearts for all we hold dear. That’s nonviolent direct action every three months around the world to put an immediate stop to the devastating harms. 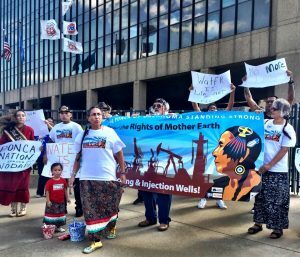 There are many Indigenous women who are protectors and defenders that are being invited to sign the Treaty. Some of them will sign it while we are at COP 21 in Paris in December. Others will sign it at special events before and after Paris. 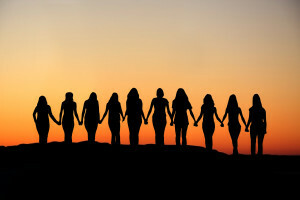 While we are in Paris we will be networking with Indigenous women from around the world to begin discussing similar treaties between the women protectors and defenders of the Americas and the Indigenous women in Africa, Europe, Asia, Australia, New Zealand, the Island Nations and the Middle East. 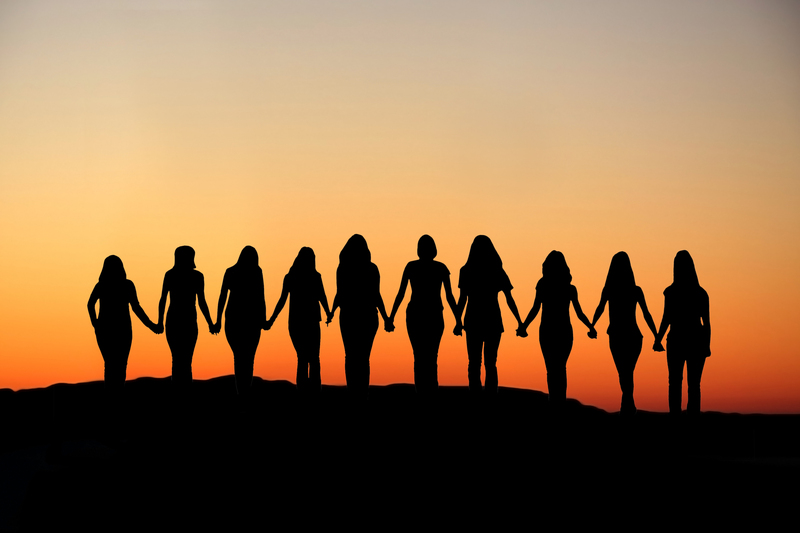 I enjoy imagining that within a year, millions of women and our allies will be shutting down the harms all over the world every three months with love in our hearts. I see this as the quickest way to inspire the policy shifts that are required to ensure a safe future for all of our relatives within the sacred system of life on Mother Earth’s belly. Join us. No one will be left out. In addition to Indigenous women signers there will also be an online mechanism for everyone who supports and commits to the Treaty to sign. No one will be left out. As it reads at the end of the Treaty: We Stand Together. 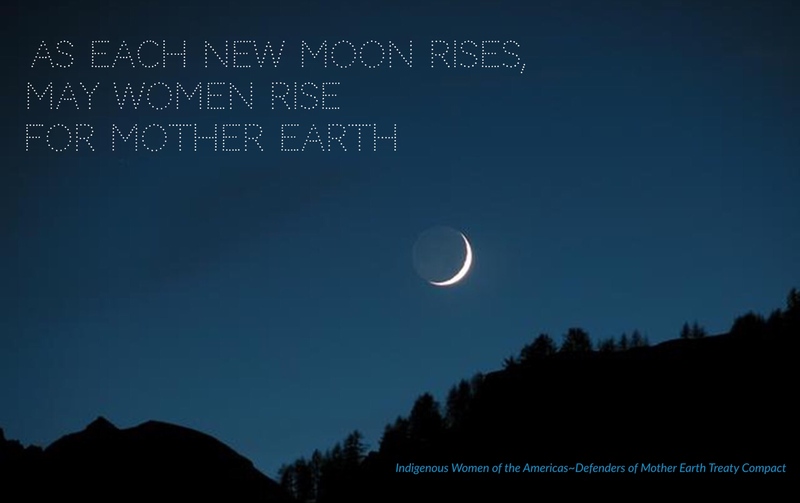 Join the call from Indigenous women to the world to take action big or small for the Earth during the next New Moon.